we a huge success!! The doctors were able to remove the gigantic, liposarcoma tumor (just shy of 25lbs) from his abdomen. The doctors were shocked that it wasn’t attached to any organs or blood vessels. That was Gods work right there. The Surgeons were able to remove the entire cancerous growth, and thankfully at this time, no radiation or Chemo is needed. His margins are clear!! Praise God. years with the most taking place every 3-4 months for the next 2 years. They will be monitoring him and watching for recurrence (as the type of liposarcoma has a high rate of recurrence). 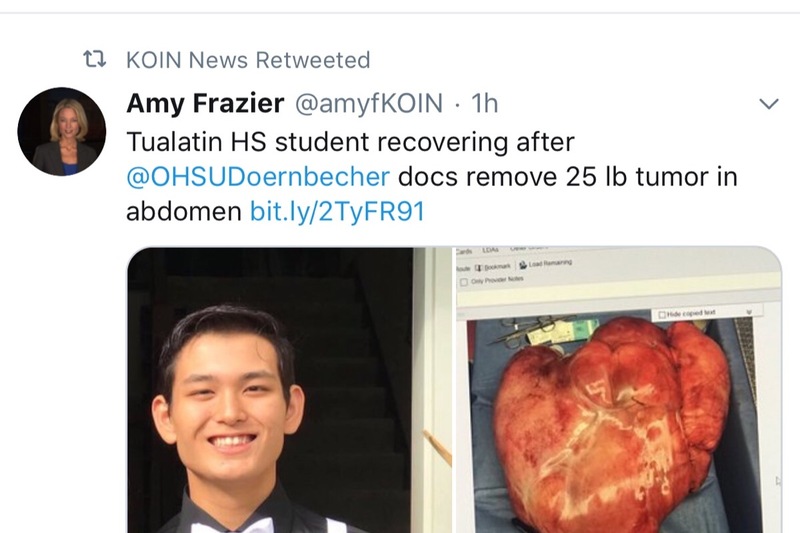 Due to the constrictions of his stomach, bowels, and organs due to the size of the tumor. Kris was in the hospital for 3 weeks and of yet, he hasn't been able to eat and keep food down. Kris came home a couple days ago with a feeding tube. Not sure for how long he will be on it. Oregon Health plan is covering the actual medical bills but we will have other ongoing medical related costs (transportation to/from doctors appointments, meals while out, family meals while at the hospital, nutritional supply's, post surgical wound care supplys, and any other unknown medical costs as they closely monitor Kristion over the next 10 years. 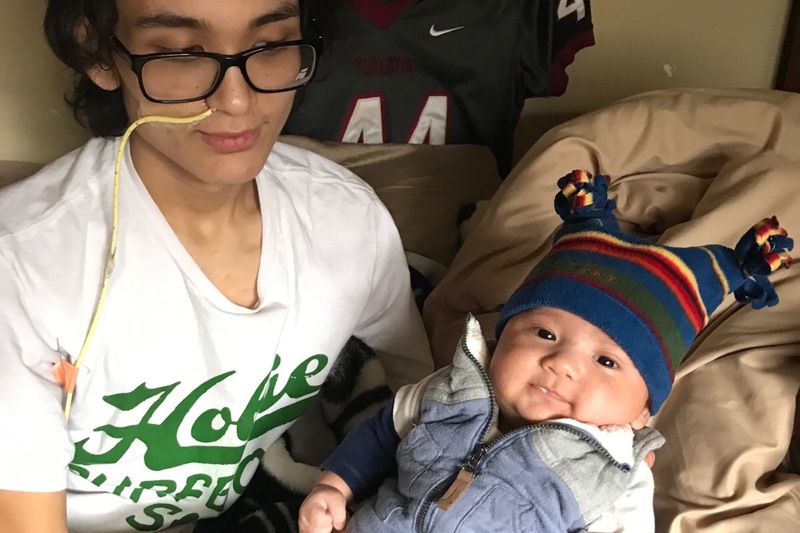 In addition to Kristion's health crisis our family has been facing substantial hardships since the summer of 2018. Kris's dad lost his job in the automotive industry, and had difficulty in locating a new position in the local area, and was forced to seek work out of state. He recently had started a new position in AZ, but when they found out Kris's health issues, pending surgery and unknowns at that time, Kris asked his dad to come home to be with him. Unfortunately having such a new job and needing to return to Oregon, he lost the new job in AZ. He currently is actively looking for employment anywhere in the Pacific Northwest to both provide and commute to see and support Kris and his siblings. Kris is one of 9 kids. But only 6 living at home under age 18. The stress of Kris's condition is only compounded our urgent needs to ensure rent, utilities and a basic needs for Kris and all of the kids are meet until my sons dad can find employment again. In addition to the upcoming additional medical costs (as listed above). We are also in need of a reliable 7 passenger vehicle that will fit our whole family. Right now we aren’t sharing my 18 year olds small 5 passenger suv. Any donation will help. If you can not donate, please share.